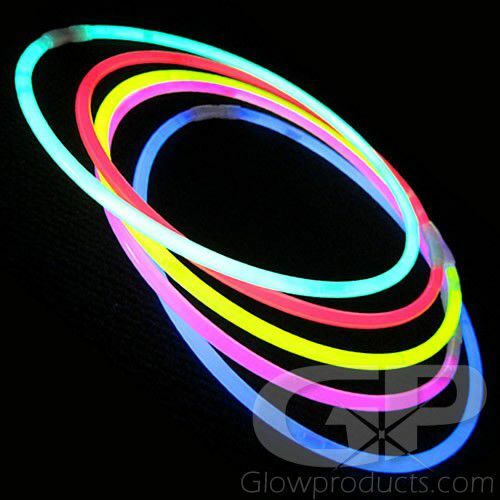 - Assorted Color Premium Glow Necklaces! - 10 each: Blue, Green, Pink, Red & Yellow! 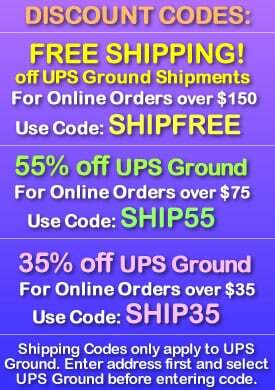 - Long Lasting 8 Hour Glow Duration! - Special Events! Fundraising! Concerts! Halloween! 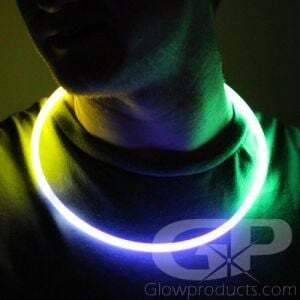 22 Inch Glow Necklace Assorted Color Pack comes with 10 pieces each of Blue, Green, Pink, Red and Yellow glow necklaces! These 22 Inch Glow Necklaces are a part of our Premium line that have a larger glow content resulting in a brighter and longer lasting glow! 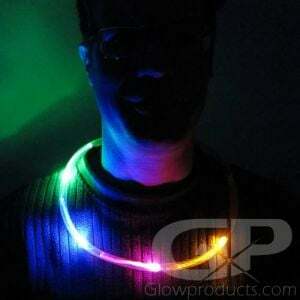 Glowing Necklaces are a huge seller for fundraising at school dances, concerts, theme parks, fairs and special events. 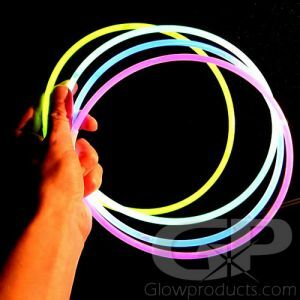 22 Inch Glow Necklaces are great for adding imaginative twists to any party! 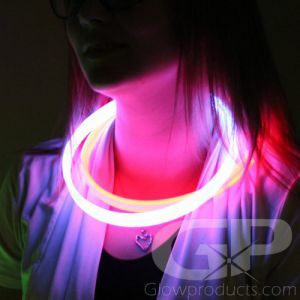 Instantly add beautiful glowing color to any Halloween costume and the bright glowing necklace will help people see your Trick-or-Treaters in the dark! Use the 22 Inch Glow Stick Necklaces as cool glowing decor by attaching them together to create glow rope and light up borders for pathways and party decorations! 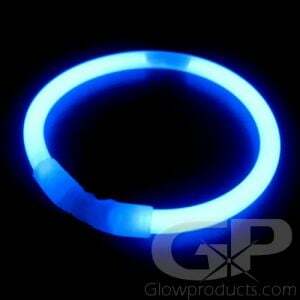 You can also use Glow Necklaces for marking areas or players for Glow Sports and Night Golf! 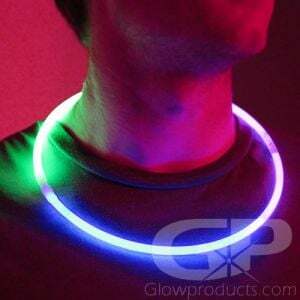 Premium Quality Assorted Color 22" Glow Stick Necklaces are 6mm thick, waterproof and the necklace connectors are pre-attached! Instructions: Bend the necklace to break the inner capsules & shake to start the glow! Bend to form a loop and push each end into the connector. 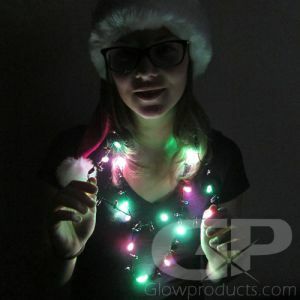 Glow necklaces are waterproof and come with break-away connectors.